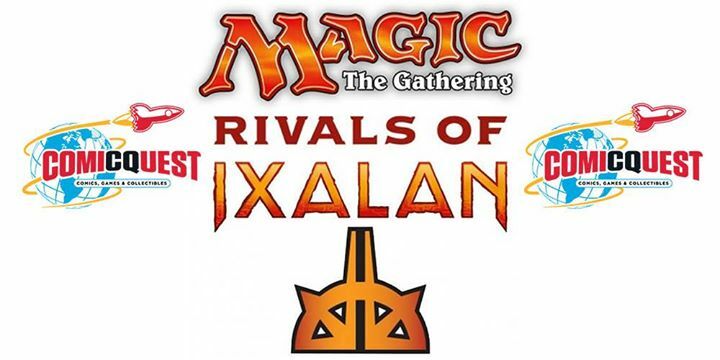 Welcome to Comic Quest Rivals of Ixalan Draft Weekend. Draft Weekend is the very first chance players get to draft with Ixalan. Join us as we celebrate the release of a new Magic set with a weekend of collection-building Booster Draft events that reward participants will receive a promotional Alternate Art card (*while supplies last). Lands will be provided to use and booster packs awarded at the end of the event when land is returned to land display.